With so many things to get done, moving day can be stressful, especially if you have a lot to pack and move out of state. 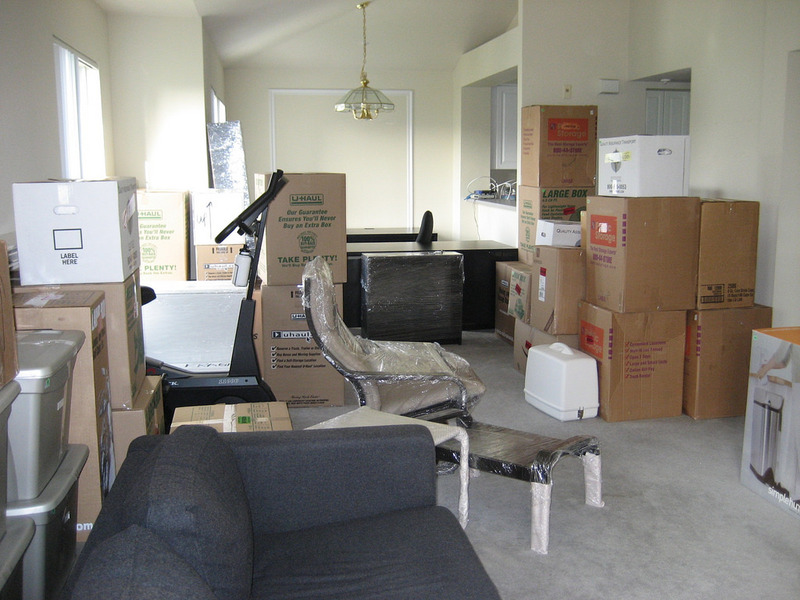 However, following these five steps can make moving day easier and more manageable. 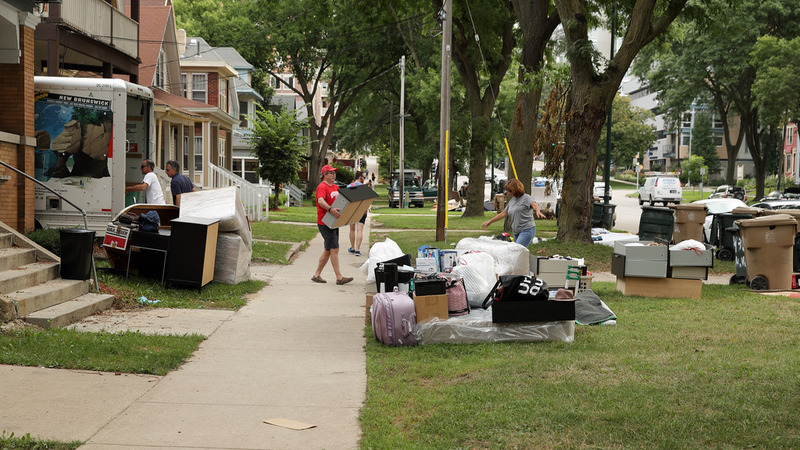 It is essential to get rid of everything that is unnecessary to remove clutter and to make more room in the moving truck. You can either donate clothes you do not wear or sell them beforehand, to give you time when moving time comes. To stay organized as you pack, set aside everything that you think you are going to sell in a separate pile. Decluttering makes moving easier, and it makes it cheaper too! Color code or label boxes so you know what is inside and where it should go in the new house. Labeling is especially important if you have a lot of packages. When you arrive at your new home, you do not want to be opening up all packages to try to find the ones you need. Labeling and color coding reduces stress and expedites the unpacking process. It is also important to pack your essentials in a separate clear box. This box contains all the stuff you will use right away that you do not want to lose, which is especially important after an exhausting day of moving and packing. If you do not want to waste food, which is important not to do, do not buy food a week before you leave. It is very likely you will have to throw away food, especially produce and food that needs to be refrigerated, because it will go bad within hours. If you do end up having more food than you need, you can invite a few friends over to help you finish it all or ask your local moving company if they are part of the Move for Hunger program. When packing up clothes, sheets, towels, and dishes, remember to put plastic bags inside the boxes first before adding these items will keep them clean. This way you won’t have to rewash any fabrics or dishes, which helps conserve water as well. To keep the clothes and sheets smelling fresh, you can throw a fabric softener inside the bag. Also, if you packed appropriately, you won’t have to worry about refolding clothes or sheets, they can easily go right into drawers as they were packed. This step saves time and unnecessary stress as well. It is important to defrost, clean, and dry your fridge before the movers arrive because it can leave unpleasant smells and leakage if not done the night before. If you are only moving a short distance, then it is okay to pack a cooler of foods you might eat that week. It is best to hire a moving company if you are planning on moving your fridge with you. The fridge is cumbersome, so it’s easy to damage the compressor. Letting experts handle this job prevents mishaps. At Real Estate EDC, we specialized in bringing you the best real estate services in California. With 5 convenient locations in Los Angeles, San Diego, San Francisco, Sacramento, and La Jolla, our agents are ready to help you find or sell real estate all over the Golden State.